1. Profile Pic Cannot be Fixed as Instagram Removed the APIs. Will try adding some Workaround for the same. 2. Video Calls Not available in this update as We had already Started Working on this Base. 3. Everything Works as it Should... So kindly check everything from your end before reporting. 4. 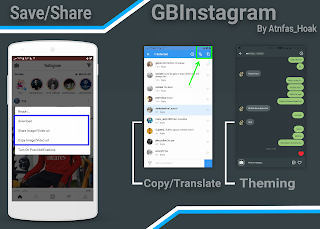 GBInstagram Themes has been already added in OSMThemes App Available on PlayStore. 🔹 Option to Start Videos Directly with Sound. 🔹 Know Who Follows You. 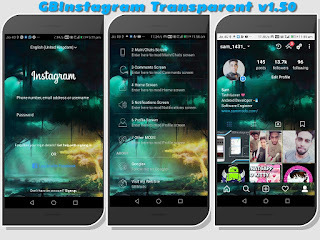 10 Responses to "GBInstagram Plus v1.50 Transparent Edition Latest Version Download Now By Sam"
why always app not installed? No me instala la app, nose si alguien me puede ayudar?